Happy Birthday Gabriella the biggest Kardashian Kollection fan I know! 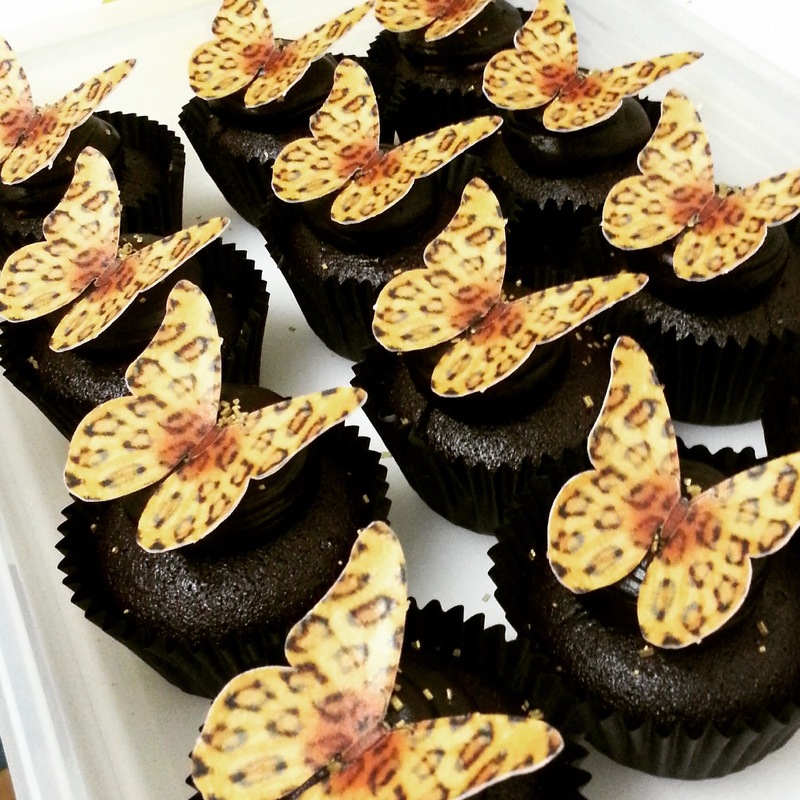 Naked Black Chocolate Ganache, with Edible Leopard print courtesy of The Cupcake Orchard. 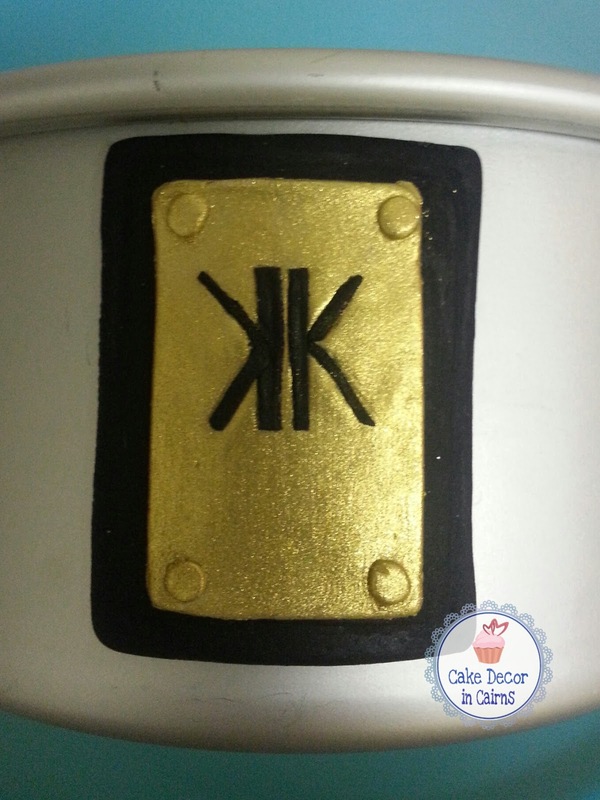 Kardashian Kollection inspired logo and accents handmade with fondant and lustre dust by me. 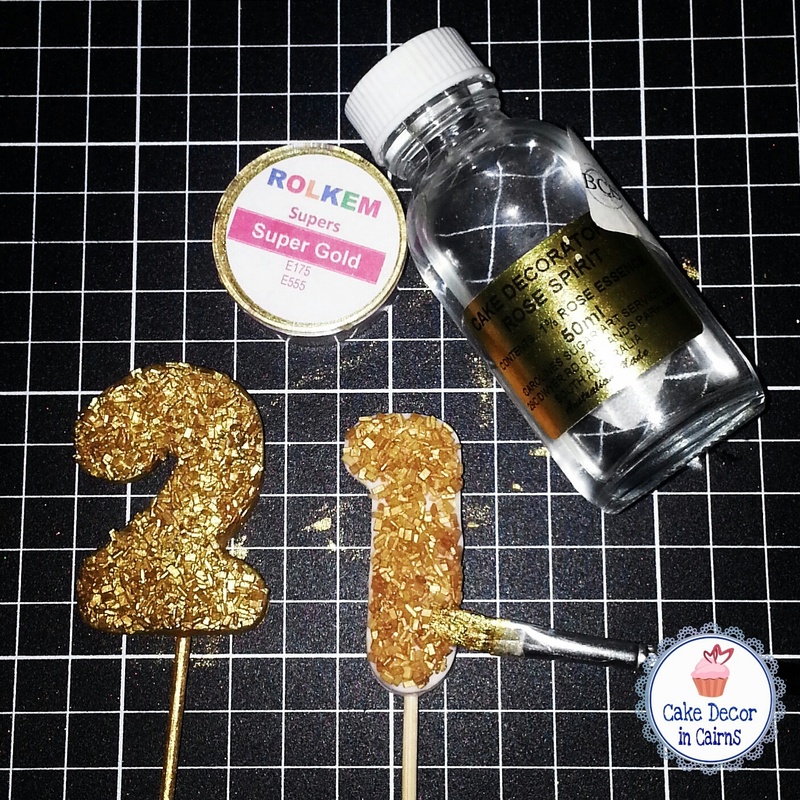 In a last minute rush it was decided that my niece would be in town to celebrate her 21st birthday and I wanted to make something special. 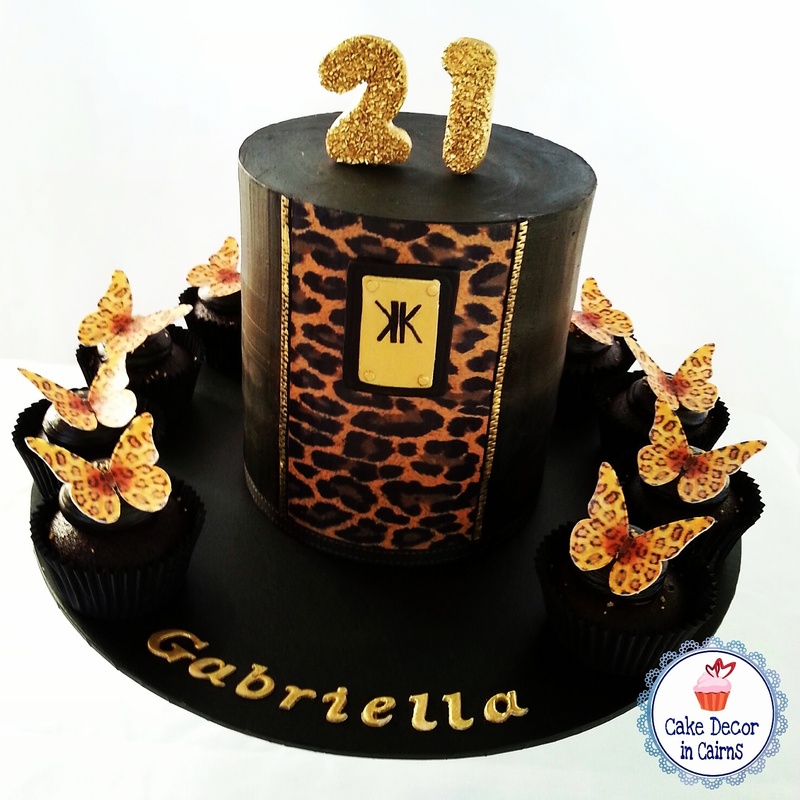 I was inspired by Gabriella's favourite Kardashian Kollection leopard print purse. I am not that confident with my chocolate painting skills so i thought it would be a great excuse to try an edible image from my local cake supplies shop. Alexi was a fantastic help and had printed out a custom image for me in no time. I was really impressed with the quality, and found it much easier to work with than wafer paper and it sure did save me a lot of time! No hand painting all those leopard spots! It was so easy to peel and trim to size. 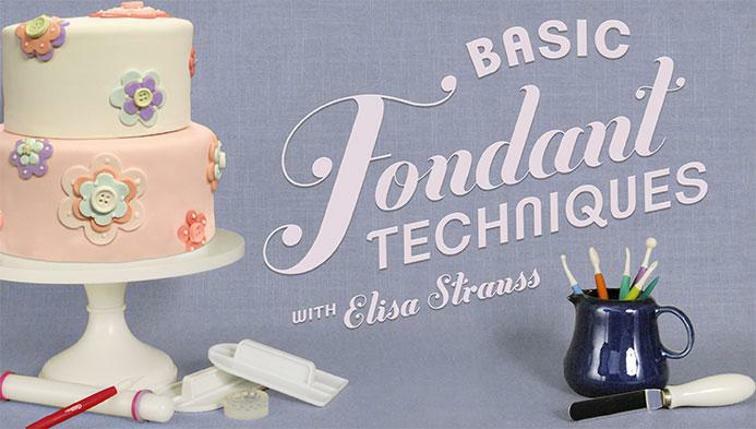 I brushed a little piping gel on the set ganache cake (very lightly so as not to soak and tear the sheet) and smoothed it on. 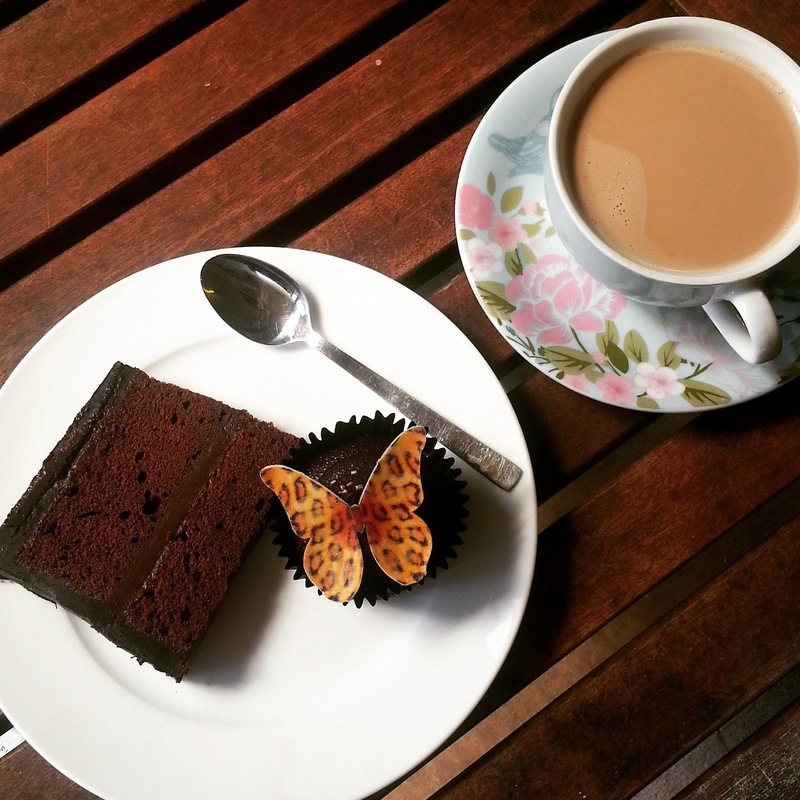 I picked up the edible leopard print wafer paper butterflies from my favourite Australian online cake decorating store Baking Pleasures. Don't they look fabulous?! I know right?! 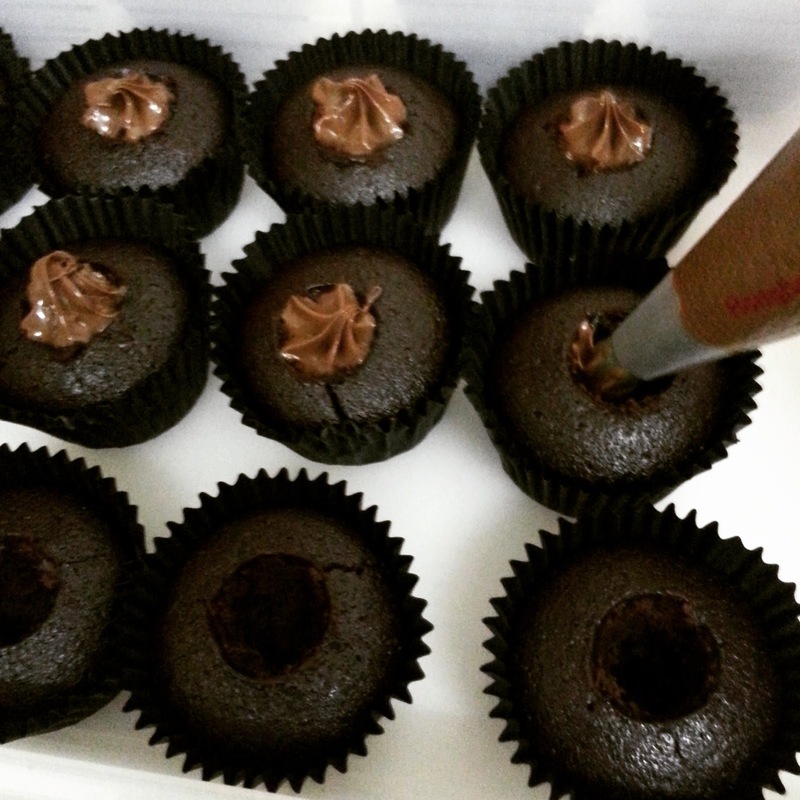 As mentioned above I did a little bit of fondant accent work to complete the naked chocolate ganache cake. So here's my best attempt at the Kardashian logo in fondant and brushed gold with lustre dust. It proved a lot trickier than I had anticipated, I don't have a steady hand and in hindsight I am sitting here wondering just what was I thinking? I mean, HELLO! I could've gotten Alexi to print something off for me... but at the same time I feel a sense of achievement for giving it a go and hand cutting. 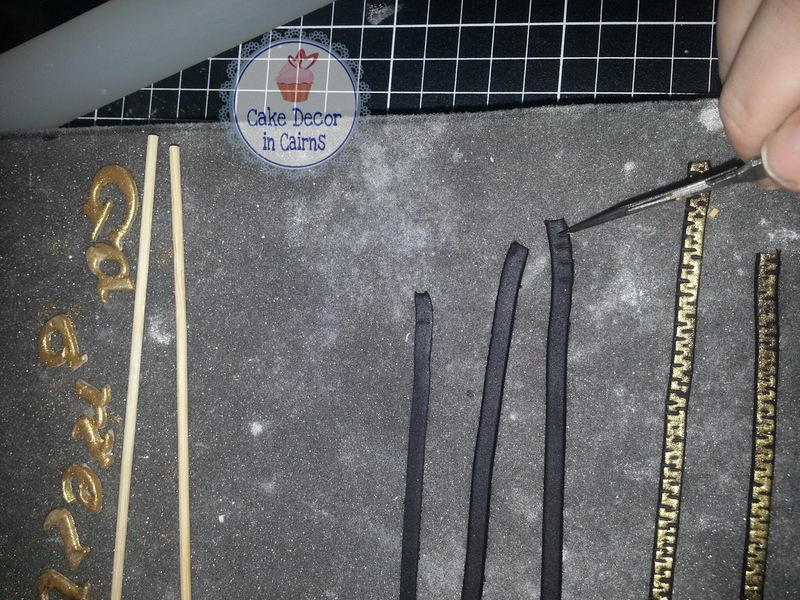 The lettering and zipper side accents were also made with fondant and gold lustre dust mixed with a little decorators alcohol. 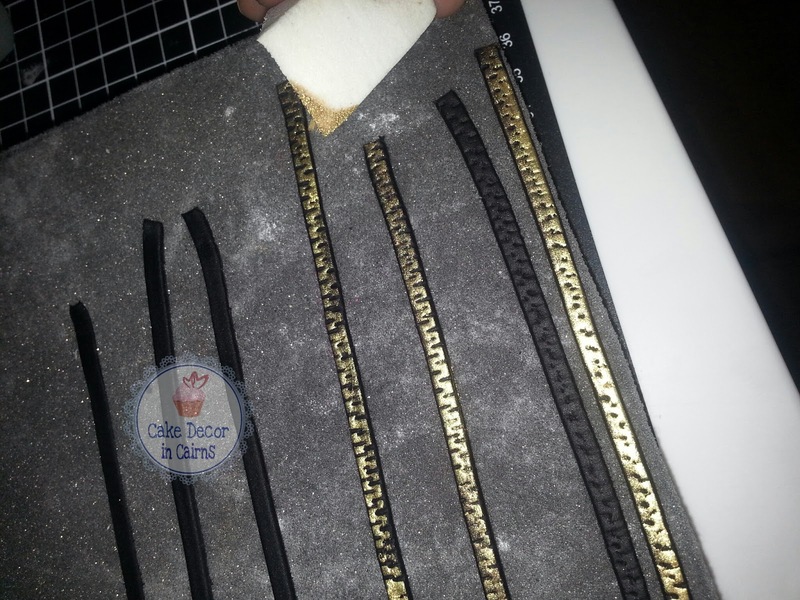 I cut thin black fondant strips using a Jem strip cutter. I then used the blunt side of my scalpel to make a zipper like imprint. Then using my trusty little sponge I lightly wiped the lustre dust edible paint across the top ensuring the black indentations were not filled in. So there you have it! 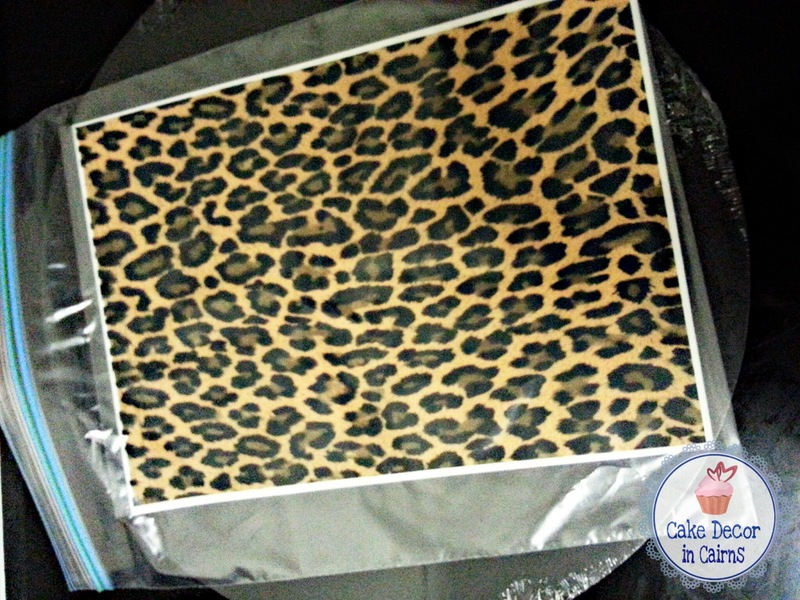 The behind the scenes scoop on my Black Chocolate Ganache, Kim Kardashian Kollection Leopard Print inspired cake. Now that's written up I think it's time to go enjoy a piece of cake and a nice cuppa! Thanks for reading and I hope to see you back next week!